We can now offer existing and future customers in Atlanta, Georgia basketball courts custom designed for their backyard sports areas. Let Southwest Greens help you realize your own hoop dreams with the construction and installation of high-quality basketball court flooring designed to take your game to a new level. 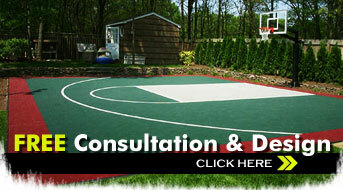 Our experienced builders can change your entire backyard with the addition of a custom basketball court. We have upgraded many homes and commercial facilities in Atlanta with indoor basketball court additions. We are proud to now be offering high-quality applications for sports courts that are constructed and installed by our experienced professionals. We also serve customers in surrounding cities such as Lawrenceville, Villa Rica and Marietta. Installation and construction are always quick, easy and affordable. 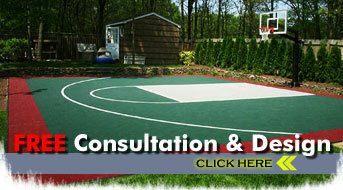 Learn how easy construction and installation of our Atlanta outdoor basketball courts can be. We can help you build a practice facility all your own with our high-quality products. Whether you need an indoor or outdoor basketball court, turn to Southwest Greens to design and construct your personal court. We’re excited to be able to help our basketball-loving customers bring the game they love into their own backyards and change their game for the better.